Myths about metastatic breast cancer abound. Not only does this result in people having an inaccurate understanding of the disease, but it can be very frustrating when friends and family members believe these untruths. Living with metastatic breast cancer is difficult enough without these fallacies. When most people think about breast cancer they are not thinking about metastatic breast cancer. Instead, they often think of breast cancer as a tumor which is a nuisance for a while, but goes away—especially if it has been many years since you were first diagnosed. Most people are unaware that for around 30 percent of women with early-stage breast cancers, the cancer will someday come back and become metastatic. Thankfully, there are many people and breast cancer organizations working to dispel these myths and raise awareness about metastatic breast cancer. Unfortunately, one study found that half of the people questioned believed breast cancer recurred because people did not get the right treatment or because they didn’t take care of themselves. The truth is that we don’t know why breast cancer sometimes comes back, and we can’t really predict when it will. Some people take wonderful care of their bodies and receive every treatment possible, yet their cancer recurs. Others do not take care of their bodies but never have a recurrence. What we do know is that roughly 20 or 30 percent of people who face early stage breast cancer will have a recurrence of their disease at some time. This myth is usually announced in a less obvious way, though if you read enough online you might start to believe that the only people who are unaware of the cures for breast cancer are oncologists. It is simply not true that there are miracle cures out there that oncologists are ignoring. If there were, wouldn’t they be recommending these cures for their own family members diagnosed with breast cancer? Once you’re diagnosed with breast cancer you’re likely to have many well-meaning friends share the latest miracle herb or potion. Unfortunately, the baby has been thrown out with the bathwater due to some of these claims. There are some so called “alternative treatments” that can help women and men cope with the side effects of cancer treatments. Yet there have not been any alternative treatments that have been found to work as well or better than the conventional treatments we now have. It is important to note, as well, that some nutritional supplements can actually interfere with cancer treatments. One way to let your well-meaning loved ones know why the latest supplement might not be a good idea is to consider how some cancer treatments work. For example, radiation therapy works to eliminate tumor cells by causing oxidative damage to these cells. If you choose to load up on massive doses of antioxidants, you could be effectively “protecting” your cancer cells from the damage the treatment is meant to cause. As a caveat to the last question, we are learning that people with breast cancer who have a vitamin D deficiency may not do as well with treatment. In fact, low vitamin D levels are being looked at as a factor in everything from cancer to multiple sclerosis. That said, it’s easy to know if your vitamin D levels are normal or not with a simple blood test, and if your oncologist hasn’t ordered this, request that it be done. Knowing your levels, your oncologist can suggest ways for you to raise your level to the optimal level for people with cancer. Don’t go about this alone. Large doses of vitamin D, though they may not interfere with your cancer treatment, can lead to painful kidney stones. Always talk to your doctor about anything you take, even over-the-counter and herbal medications. Before addressing this myth it’s important to point out that though not curable, metastatic breast cancer is very treatable, and there are more treatment options available every year. The reason we bring this up here is that in one study it was found that 50 percent of people believe that metastatic breast cancer is curable. This misconception can lead to painful comments spoken to those with metastatic breast cancer. For example, people with metastatic breast cancer are often asked when they will be done with treatment. Since metastatic breast cancer requires treatment to control the disease for the rest of your life (though breaks may be possible) this is a painful question for those with metastatic breast cancer to answer. Though metastatic breast cancer isn’t curable, it is very treatable, and there are many different types of treatment options available. With the talk about the “breast cancer genes” following Angelina Jolie’s preventive mastectomies, you would think that most breast cancers are caused by faulty genes. Yet only five to ten percent of breast cancers are considered to be hereditary breast cancers. The myth that after five years a person is safe from breast cancer recurrence is prevalent but very wrong. In fact, for some women with estrogen receptor positive breast cancers, a cancer may be more likely to come back between the 5th and 10th year “cancerversary” than in the first five years. For those who have been through breast cancer and had a recurrence, the approach taken with metastatic cancer may be a little unnerving at first. Whereas the goal of treatment with early-stage breast cancer is an attempt to cure the cancer (which sometimes means pulling out the “big guns”) the goal of treatment with metastatic breast cancer is different. In general, treatments used for metastatic breast cancer emphasize controlling the cancer with as few drugs as possible and using further drugs sequentially when a treatment becomes ineffective. 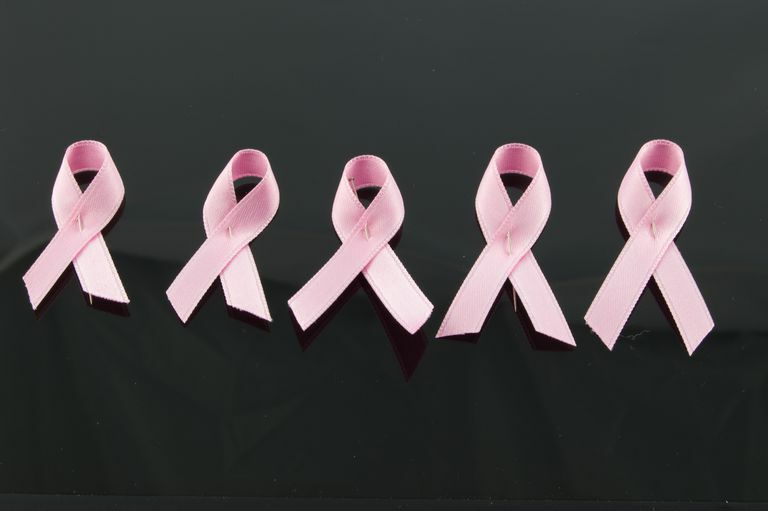 While pink is the word with breast cancer, the disease is not isolated to women. Though much less common in men and accounting for only around one percent of breast cancers, men do develop the disease. In addition, the disease tends to be in more advanced stages of the disease when found in men. Just as it’s important to remember that not all cancer is pink and that not everyone with breast cancer has early-stage disease that will be curable, it’s important to remember that men can and do develop breast cancer. Thankfully breast cancer in men has received more attention in recent years, as it should. Certainly, the pink ribbon movement has done wondrous things for many people with breast cancer. Yet in the midst of the pink ribbons, people with metastatic breast cancer can feel even more alone. The public perception of early-stage breast cancer is a far cry from the reality of metastatic breast cancer. Rather, just as it can feel lonelier to be alone in a crowd than alone by yourself, living with metastatic breast cancer can lead to a sense of isolation. The truth is that any type of cancer of any stage is difficult, and those living with any cancer need the love and care of family and friends, perhaps even more so if they are alone in the crowd.